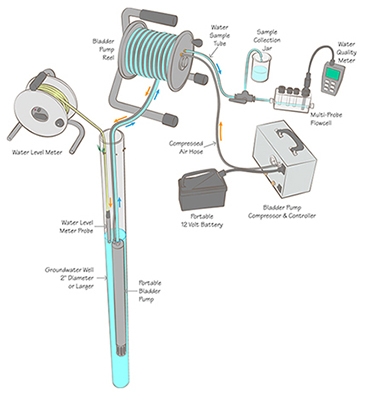 Water sampling equipment is used to collect water quality data to assess surface-water and groundwater resources. This is often done for site compliance and remedial performance monitoring. 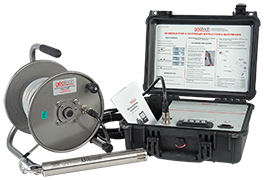 Geotech provides a variety of equipment used in the collection of water quality samples that are representative of the ambient environment. A representative sample is one that typifies the characteristics of the water of interest at the time of collection. Obtaining representative samples is of primary importance for an accurate analysis of the water environment. The type of sampling equipment or sampling system used for groundwater depends on the type of well, depth to water from ground surface, physical characteristics of the well, groundwater chemistry, and the analytes targeted for study. Selecting the appropriate equipment for collecting groundwater samples is important in order to obtain data that will meet study objectives and data-quality requirements. 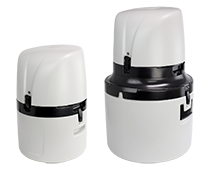 YSI's ProSample portable samplers feature a proprietary peristaltic pump for highly accurate sampling in applications such as surface water, storm water, and wastewater. With multiple samplers to choose from and the ability to sample based on time, analog signal, digital pulse, and/or measurements from an SDI-12 device (ProSample P-12 and ProSample PM-12 models only), the ProSample can be the final piece of your monitoring installation. Composite sampling can be completed with all models, while discrete sampling can be completed with the ProSample P and ProSample P-12.